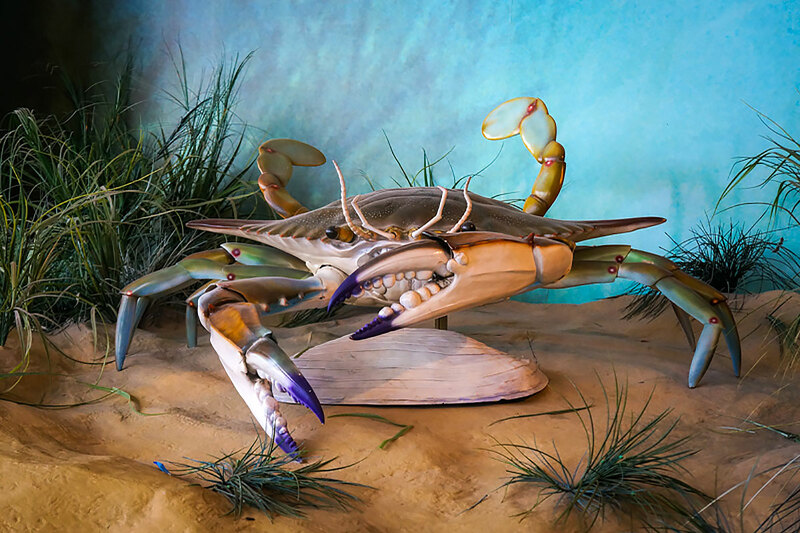 Follow the Blue Crab — one of the region’s most important residents — and the spotlight of our exhibit focusing on the Chesapeake Bay and its relationship to Maryland and the Mid-Atlantic. 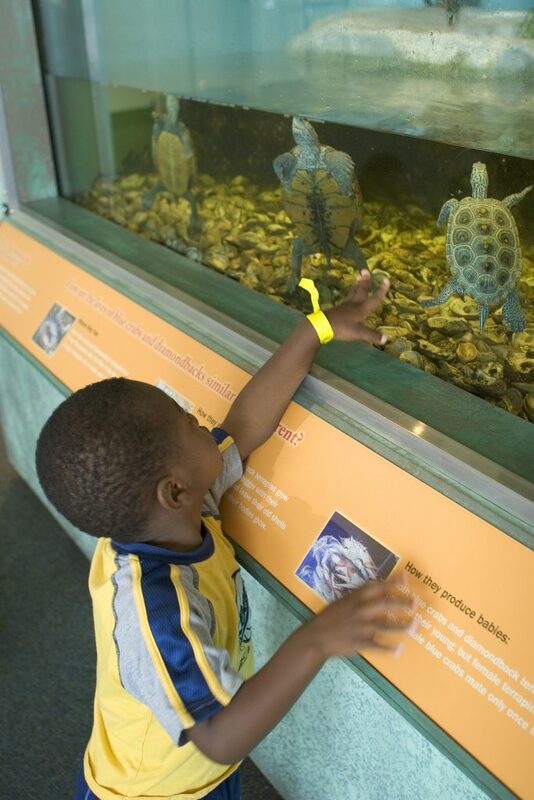 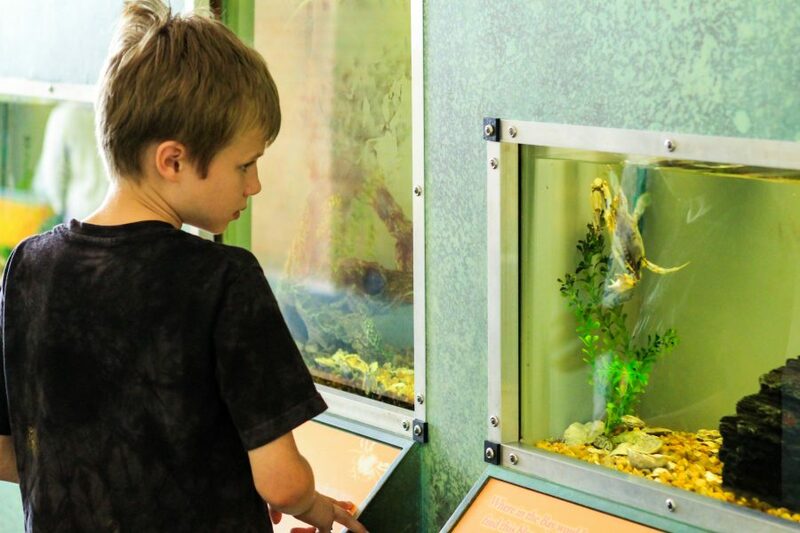 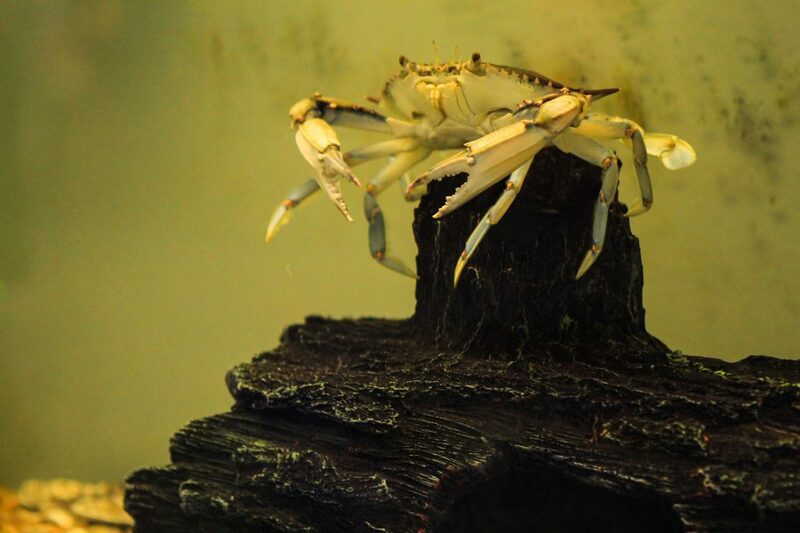 Live diamondback terrapins and crabs in aquatic display tanks are featured in the exhibit. 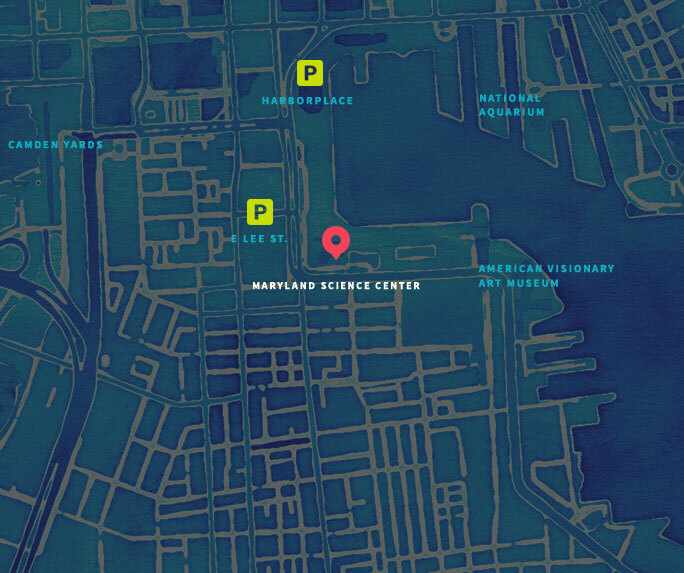 Take time to walk the Bay — literally! Huge full color satellite imagery takes up a major part of the floor space and visitors can walk across the map to observe the ratio of water to land, concentrations of population centers, and remaining green spaces. 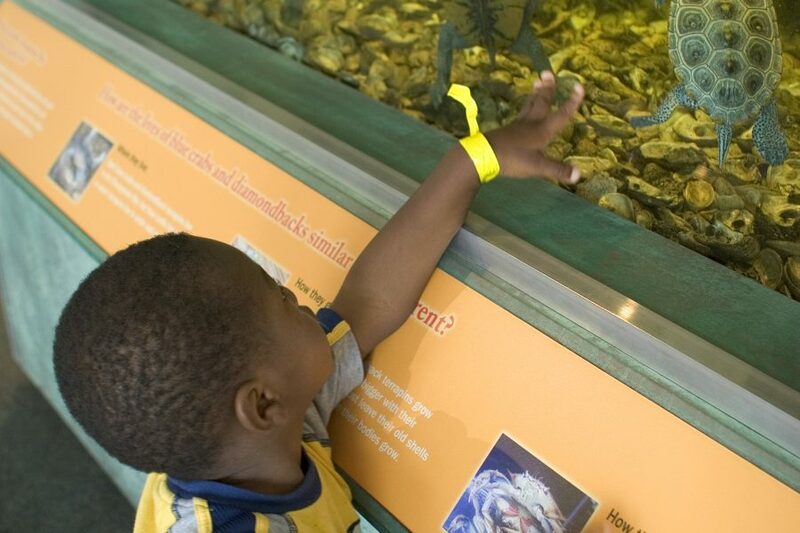 Learn why the health of the Bay is so important for the health of the region. 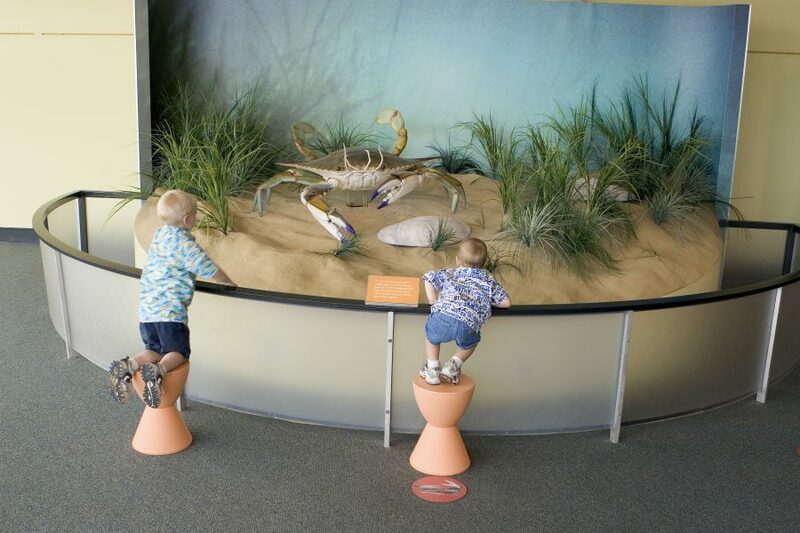 The exhibit is home to one of the earliest exhibition components of the Maryland Science Center — the huge mechanical crab! 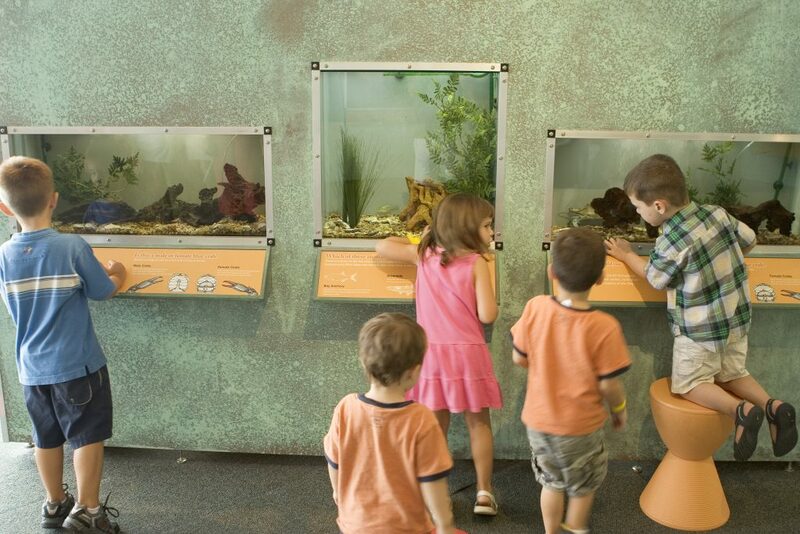 This family favorite has been remembered by generations as an icon of the Science Center. Now, completely refurbished, this giant is ready to welcome generations to come with his waving claws and moving legs. 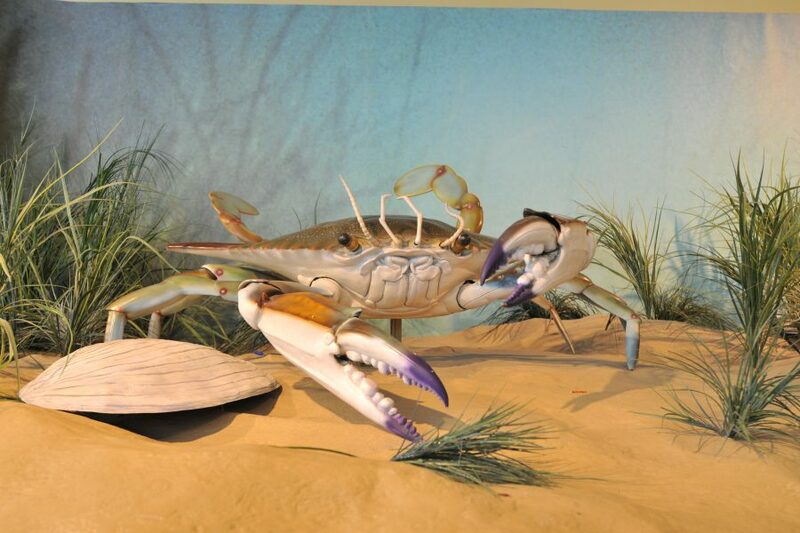 Can you discover the secret that startles it from its resting place among the marsh grasses?